Where I live, in the UK, most people didn’t know what an avocado pear was until the 1960s. When supermarkets started stocking them, leaflets were produced to convince British housewives not to mash them, heat them up and serve them for dessert with custard. Avocados still have a slightly exotic air to them here, and to this day it’s still considered very posh to have an avocado starter, or homemade guacamole as a dip. The stars of Hollywood were way ahead of us mere mortals of course, and were proposing their own recipes for guacamole from the 1920s onwards. Spellings for this dish varied in the early days. In the late 1920s Helen Twelvetrees presented her Wakimoli Salad recipe to the Beverly Hills Women’s Club for their cookbook. Gloria Stuart knew the dish as Huacamale in the 1930s. Who knows when the name was standardized, but it’s National Guacamole day on September 16th, so here is a little roundup of three of the stars’ own recipes for this delicious dish. I’ve chosen them for their slightly unusual ingredients. 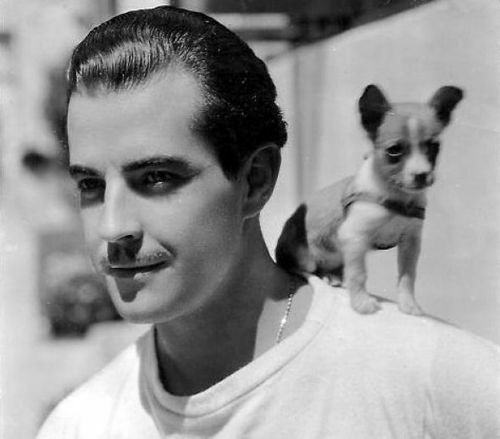 Jose Ramón Gil Samaniego, better known as Ramon Novarro, proposed a recipe in 1929 that included a delightfully fruity ingredient—grapes. I don’t know why, but this works! Peel avocados and mash; next, wash the green chili well, and after mashing it, add it to the avocado mixture. Season like a salad, with salt, vinegar, and olive oil. Then wash grapes and add them to this mixture. Instead of grapes, the original fruit to add is pomegranate seeds, as this gives a very colorful—as well as appetizing—appearance. 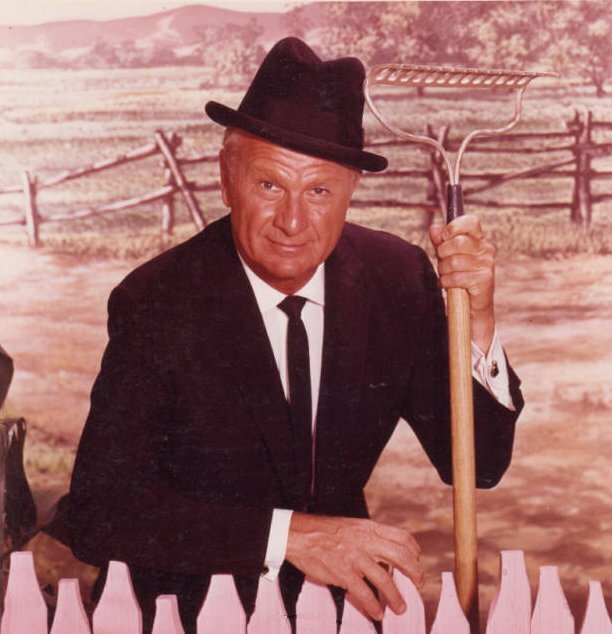 Eddie Albert suggests a fair few additions to his basic guacamole recipe. I love guacamole, and I love peanuts, so I throw a handful into the mix sometimes, thanks to Eddie. Mash avocados with a fork, so they’re not too smooth, and add the other ingredients. If you can’t serve at once, cover closely with Saran Wrap or foil, as guacamole darkens when exposed to air. Do not make it too far ahead of serving. Add the salsa jalapeña or chilies to taste, and make sure you use plenty of salt. Vary this dish by adding pomegranate seeds or fresh cilantro (coriander or Chinese parsley), chopped peanuts, or bits of crisp bacon or chicharones. I had to look up chicharones on the Internet. In Britain, we call these pork scratchings. As part of guacamole? I might try it sometime. In a British cookbook published in 1973, my favorite movie star chef had the following to say about guacamole: “Since the advent of the avocado into England, I’ve found rather limited use of this delicious fruit, served mostly vinaigrette or stuffed with prawns etc. In California via Mexico, we use the riper avocados to make the all-purpose guacamole.” Perhaps we have Vincent Price to thank for guacamole becoming popular here in Britain. 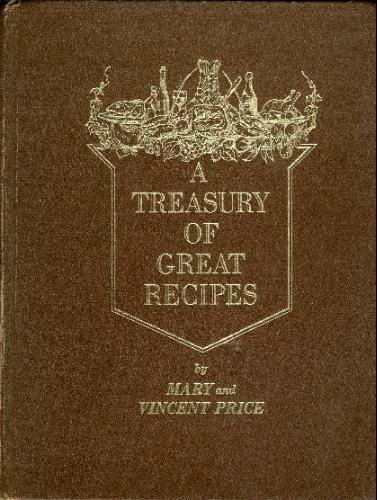 This recipe differs slightly from the guacamole recipe Vincent and his wife Mary included in their wonderful cookbook A Treasury of Great Recipes . In this version, a tablespoon of Worcestershire sauce is added to the guacamole, which gives it a certain something. Peel and slice the avocados, but make sure that you save the seeds. Mash the flesh either smooth or slightly lumpy (I prefer lumpy). Add the rest of the ingredients, mix well, then place the seeds on top. This prevents discoloration. Chill, but remove the seeds a little before serving. Serve before dinner with drinks, crisps, or biscuits, or on top of shredded lettuce as a salad with dinner. Enjoy National Guacamole Day! And if you don’t get around to making any of these this month, don’t worry—it’s National Spicy Guacamole Day on November 14th, so just add more chilies! 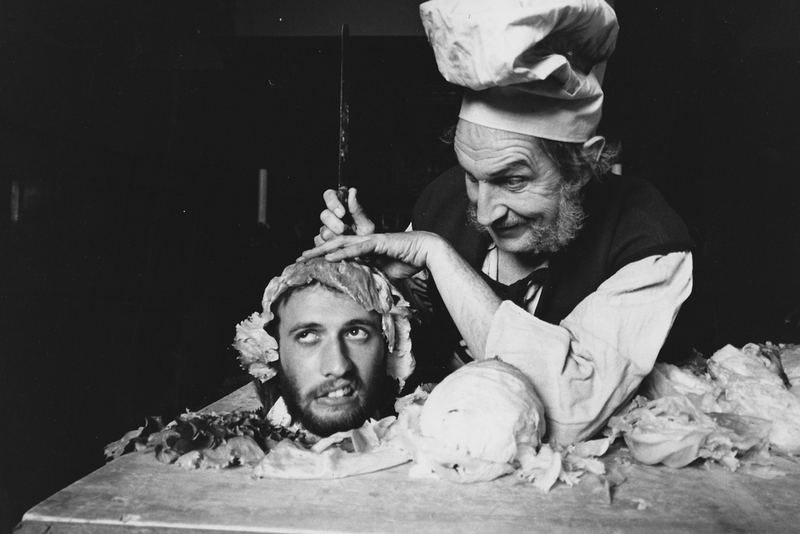 This entry was posted in Columnists, Eat, Eat: Book Excerpts, Eat: Recipes, Films and tagged avocado, Eat, Eddie Albert, Films, guacamole, Jenny Hammerton, Ramon Novarro, recipe, stars, Vincent Price. Bookmark the permalink.